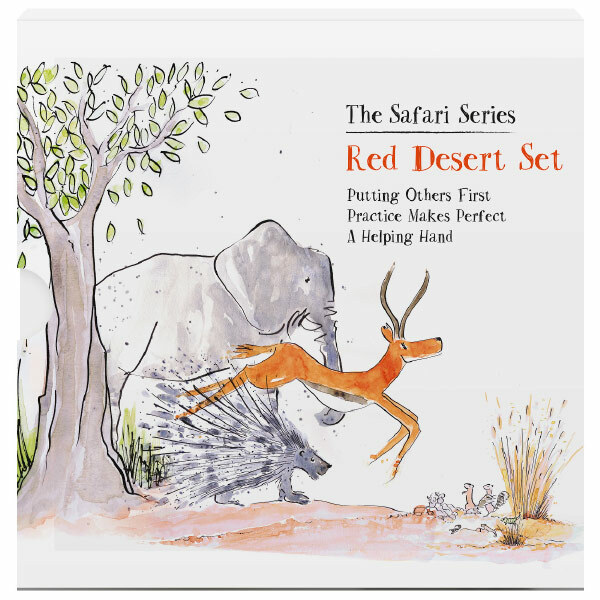 The Safari Series Red Desert Set is now available! 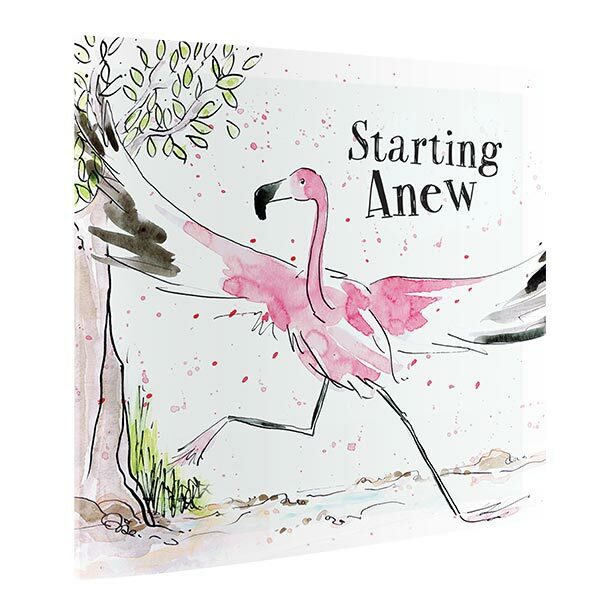 Maria Floyd provides the beautiful illustrations for our range of 32-page children’s books. Maria is a successful painter and illustrator who trained at the famous Goldsmiths’ College. Clare Luther, who is an Occupational Therapist by profession and a passionate poetry writer, provides the thoughtful content that carries a mild moral message throughout the twelve-book series. MPress Books, a company registered in the United Kingdom, has currently published the first ten books in the popular Safari Series with the final two books possibly available before Christmas 2017, or very shortly thereafter. 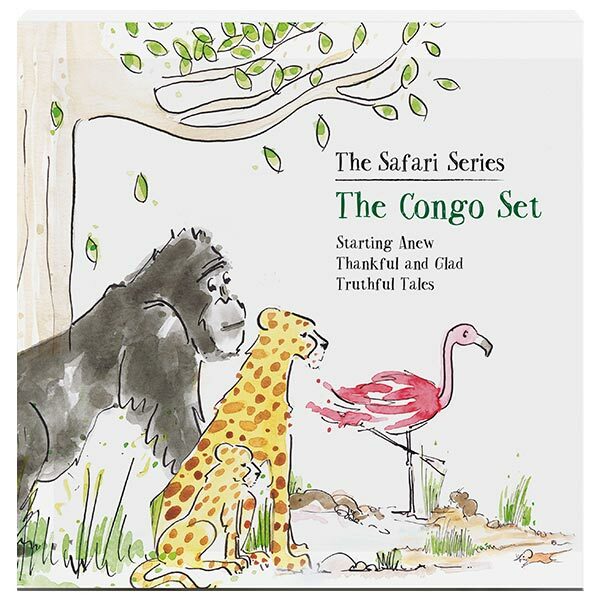 The twelve books are divided into four sets of three books: The Savanna Set, The Okavango Set, The Red Desert Set and The Congo Set. The books are becoming very popular with early learning groups and primary schools throughout the country – please do read some of our reviews and related recommendations. 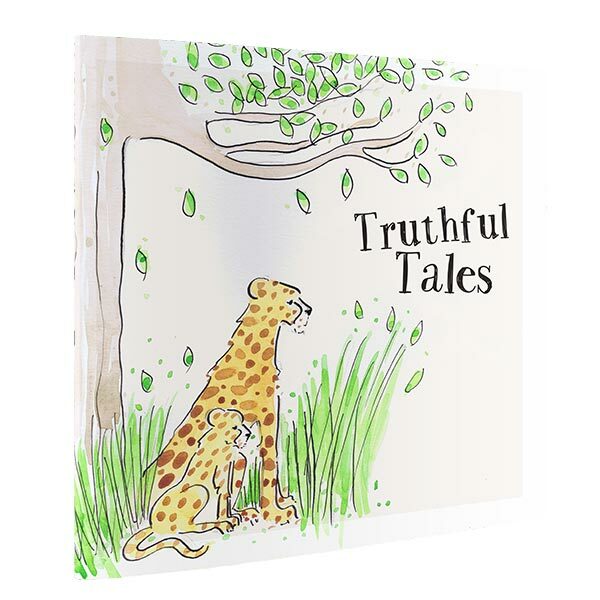 Due to their growing popularity, Clare and Maria – and all of us here at Tall Grass Productions – are planning a fifth celebration set of these “Safari” books. This set will feature animals from the vast northern desert of Africa and is called the “Sahara Set”. We know that there will be a mischievous camel in this set of three books, however, the other two animals remain a mystery – even to us! Please order your required individual books, or three-book cased sets, from our website and we in turn undertake to speed their delivery to your door as soon as possible. If ordering from outside the United Kingdom, please do allow a few weeks for their delivery, as times vary depending on your country of origin and the time of year. Please also note that additional postage charges may apply for us to send your books overseas. By the way, Easter may be busy, so please order in good time to avoid disappointment. 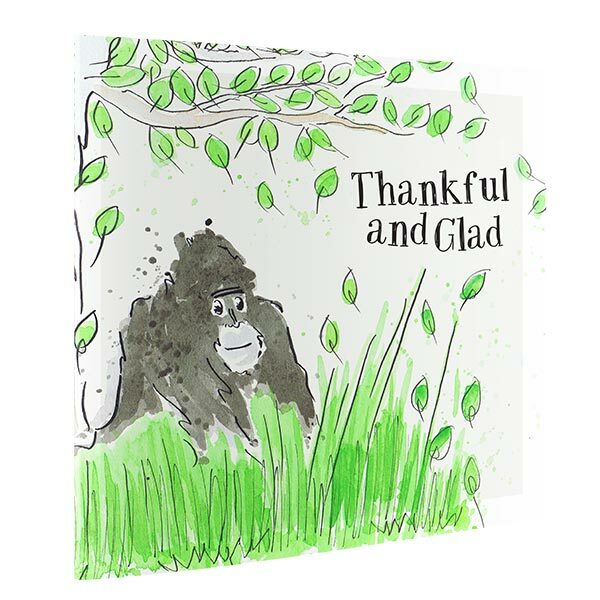 As a final note from the Tall Grass team, please do remember that the Safari Series books are not only designed for enjoyment, parent participation, and social education, but also for early learners being introduced to English as a second language. When you think of the wild and wonderful continent of Africa, where does your imagination take you? Perhaps the wide open grasslands of the savanna, or the rainforests of the Congo where the gorillas live, or the red sands of Namibia where the desert elephants can be found, or possibly the watery wilderness of the Okavango delta that is home to so many colourful birds and animals. When you think of Africa, why not let these wonderful books by author Clare Luther and illustrator Maria Floyd take you there. The three stories in the Red Desert Set tell of putting others first, perseverance, and kindness coming alongside competition. A loyal mother elephant was leading her herd to a water hole when they came across a clan of hyenas bullying a rhino calf. Without much thought for themselves the family moved to defend the calf and the hyenas ran off. They protected and comforted the calf and learnt a valuable lesson about putting others first. 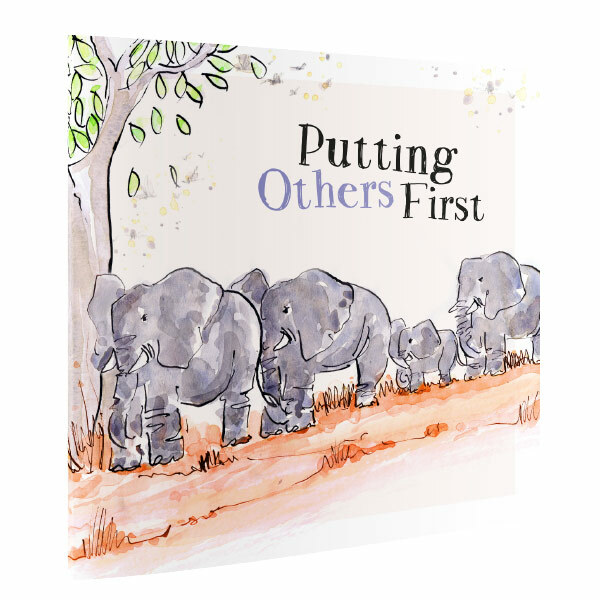 “Putting Others First” is the seventh title in their much anticipated “Safari” series of picture books. The word “Safari” means “long journey” in Swahili and on this educational adventure the matriarchal elephant is accompanied by two friends: a determined porcupine and a sporty antelope. Aimed for the pre-school to eight-year age group. An unfortunate porcupine could not raise his quills, despite trying and trying … and trying. Night after night he persevered with his practice, but without any apparent success. One day, however, his quills did go up to protect him from danger and he learnt that practice really does make perfect. 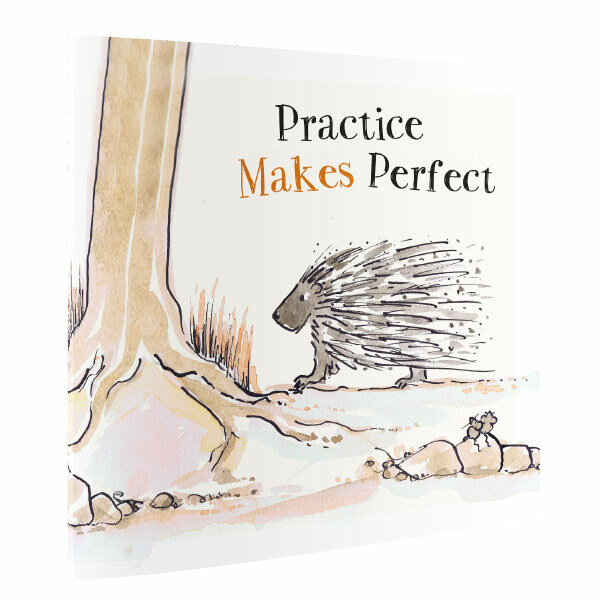 “Practice Makes Perfect” is the eighth title in their much anticipated “Safari Series” of picture books. The word “Safari” means “long journey” in Swahili and on this educational adventure the porcupine is accompanied by two friends: a loyal elephant and a sporty antelope. Aimed for the pre-school to eight-year age group. An athletic doe was all set to come first in her race when the unexpected happened; she fell and all hope of winning was lost. A leopard and a jackal, also keen for first place, stopped their own race to help the antelope and they all finished the race together. They showed others that the kindness of a helping hand was more important than winning. 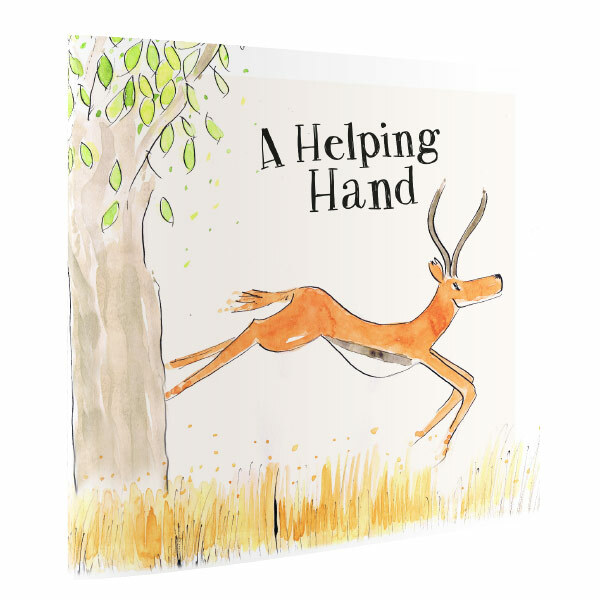 “A Helping Hand” is the ninth title in their much anticipated “Safari” series of picture books. The word “Safari” means “long journey” in Swahili and on this educational adventure the sporty antelope is accompanied by two friends: a loyal elephant and a determined porcupine. Aimed for the pre-school to eight-year age group. 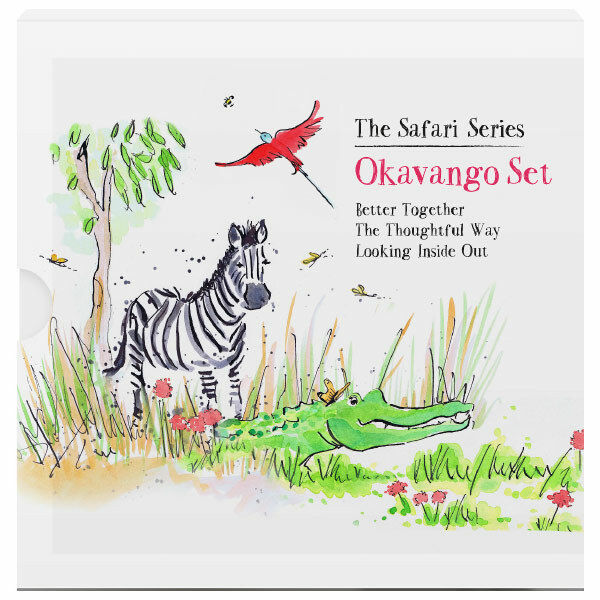 The three stories in the Okavango Set tell of sharing skills to work better together, thinking before you speak, and accepting others for who they are rather than judging. A colourful Carmine Bee-Eating bird loved to show off about her talents and thought only of herself. But two friends kindly explained that sharing her skills and abilities helped everyone work better together. 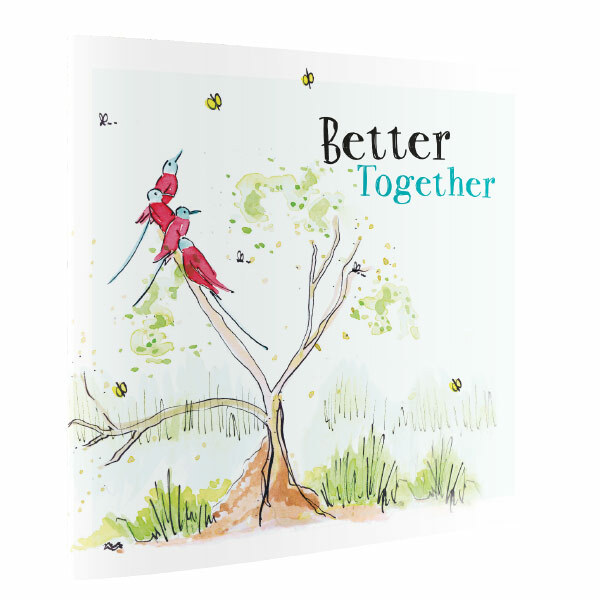 “Better Together” is the fourth title in their much anticipated “Safari” series of picture books. The word “Safari” means “long journey” in Swahili and on this educational adventure the busy bee-eating bird is accompanied by two friends: a zebra and a crocodile. Aimed for the pre-school to eight-year age group. A kindhearted but unintentionally rash zebra, often spoke with out thinking; her offhand remarks caused upset to the herd. A friend tells her that the more thoughtful way is to first pause and think, so that her words were helpful and encouraging to others. 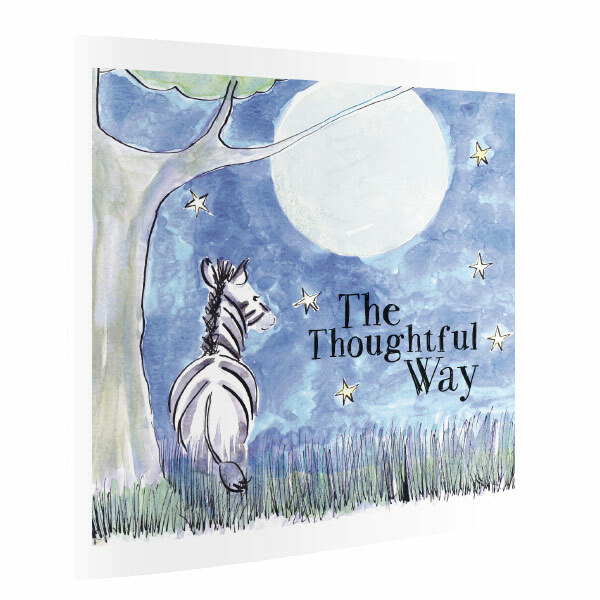 “The Thoughtful Way” is the fifth title in their much anticipated “Safari Series” of picture books. The word “Safari” means “long journey” in Swahili and on this educational adventure the zebra is accompanied by two friends: a bee-eating bird and a crocodile. Aimed for the pre-school to eight-year age group. A crocodile was known for his scary appearance and so all the other animals in the Delta avoided him. But he had the kindest heart and longed to help others. One starry night he rescued a family of mice and delivered them to safety. The creatures of the Delta realised they had judged him before knowing him and were sorry for the error of their ways. 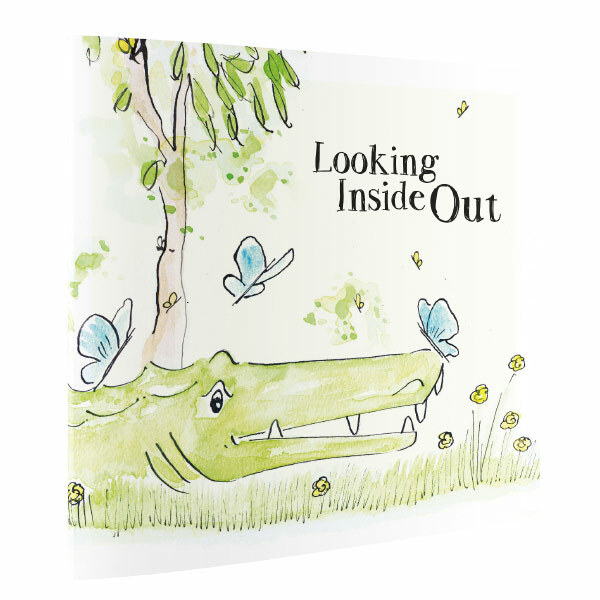 “Looking Inside Out” is the sixth title in their much anticipated “Safari” series of picture books. The word “Safari” means “long journey” in Swahili and on this educational adventure the crocodile is accompanied by two friends: a bee-eating bird and a zebra. Aimed for the pre-school to eight-year age group. 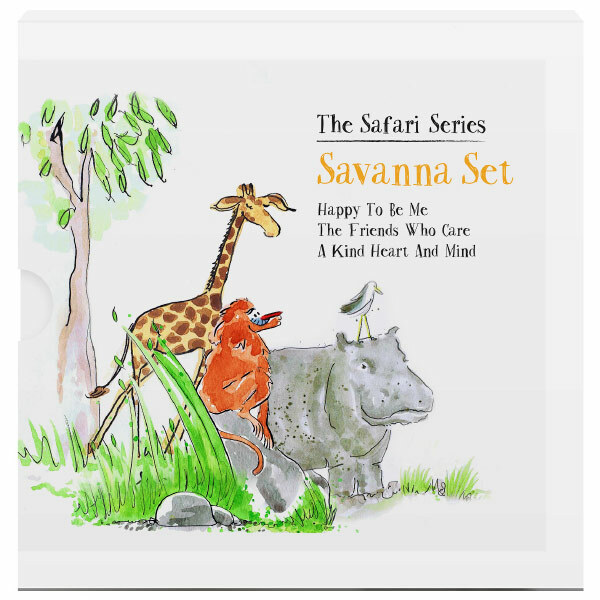 The three stories in the Savanna Set tell of being happy as you are, the importance of friendship and treating others as you would like to be treated. An amazing tall giraffe was unhappy with how he looked until he met someone who helped him realise he was perfect just as he was. 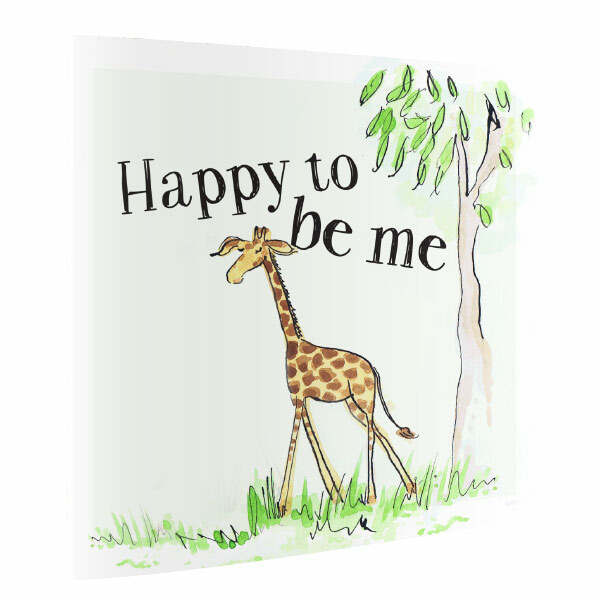 “Happy To Be Me” is the first title in their much anticipated “Safari” series of picture books. The word “Safari” means “long journey” in Swahili and on this educational adventure the giraffe is accompanied by two friends: a hippo and a baboon. Aimed for the pre-school to eight-year age group. A selfish, mean and grumpy hippo lived alone on the savanna. Until one day the love and care from a bird and fish helped him realise the importance of friendship. 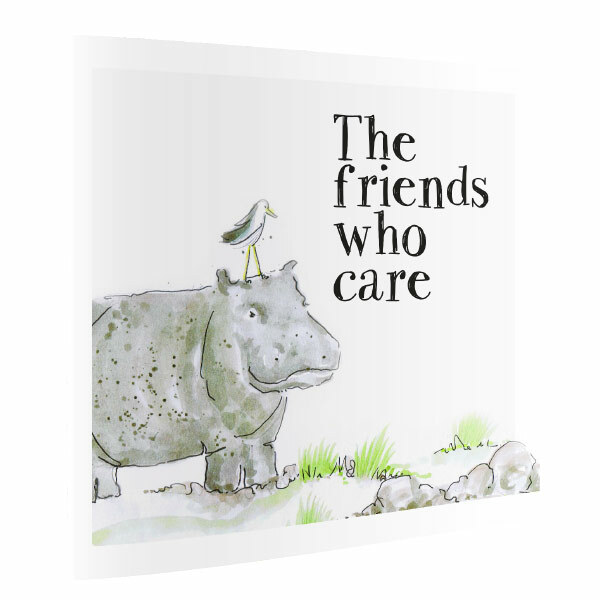 “The Friends Who Care” is the second title in their much anticipated “Safari Series” of picture books. The word “Safari” means “long journey” in Swahili and on this educational adventure the hippo is accompanied by two friends: a giraffe and a baboon. Aimed for the pre-school to eight-year age group. A sneering baboon liked nothing more than to make fun of other animals. One day, however, they laughed back at him and he quickly learnt the importance of treating others how he would like to be treated. 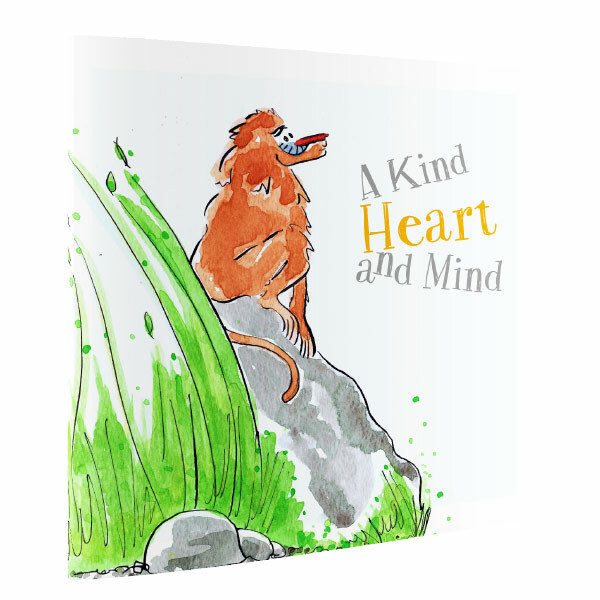 “A Kind Heart and Mind” is the third title in their much anticipated “Safari” series of picture books. The word “Safari” means “long journey” in Swahili and on this educational adventure the baboon is accompanied by two friends: a giraffe and a hippo. Aimed for the pre-school to eight-year age group. A mosaic of rivers, forests, savannas and swamps lie within the Congo Basin. On a wide mudflat near the edge of a blue lagoon live a flock of flamingos. It is nesting season and they are busy preparing and building homes – except for one lazy pair. With no nest of their own they hatch a plan to steal one, but soon realise that their heartless act causes great upset to others. They learn that it is not right to take what does not belong to them, return the nest, and start anew. Dense and isolated areas of rainforest lie within the vast Congo Basin. Deep in one of these forests lives a greedy gorilla. He is not satisfied with what he has and is always longing for more – more power, more food and more treasure. One day a vole and a shrew come alongside him and quietly tell him that his desire for more will never make him happy. He sees his mistake and learns to be thankful and glad for everything that he already has. Large areas of forest-savanna and open grassland form a mosaic within the northern and southern Congo Basin. Somewhere remote, in one of these tall, dry grasslands lives a playful cheetah cub. He is learning to hunt with his mother and sneaks off to prove his worth. Things do not go to plan, however, and he soon returns injured and hungry. He lies about his adventure to impress everyone, but soon discovers that it is best to be honest and tell the truth. "We've loved having your books in school and we would like to create sets of eight as guided reading texts alongside using the books for topic/SEAL (Social and Emotional Aspects of Learning) learning." make the right choices in life!" Founder and Creative Director at MPress Books Limited. 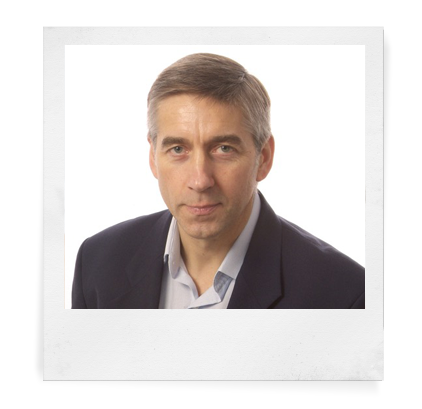 He is the Commissioning Editor for the “Tall Grass” imprint and the associated Safari Series of children’s books. He lives close to the iconic and inspirational Malvern Hills in Worcestershire with his wife and has two grown-up children. The creative team at MPress Books is waiting for you. We can assist in moving your publishing dreams and aspirations forward, or simply step-in for the timely completion of your more routine book production requirements. We can take your manuscript and/or illustrations, or interpret your own ideas and intentions, and then with pride and within an agreed timeframe, place a quality printed copy firmly in your hand – any format, any quantity, delivered anywhere in the world. Contact us, we may well be the missing link in your independent book publishing chain.